I’ve always had an analytical mind. Even as a child, I enjoyed anything that involved uncovering the solution to a problem, putting the pieces together or getting to the bottom of things. In those early years, I spent many an hour in my room doing word finds and crosswords, and trying to figure out “whodunit” in mystery novels. So it’s no wonder that when I read The Phantom Tollbooth in the fourth grade, one part of that story really stuck with me. 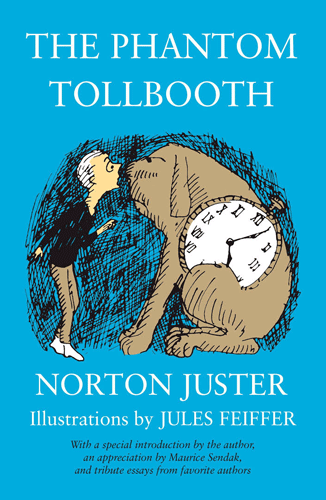 The Phantom Tollbooth by Norton Juster is a fantasy adventure about a bored young boy who uses a magic tollbooth to transport himself to the Kingdom of Wisdom. As the cheering continued, Rhyme leaned forward and touched Milo gently on the shoulder. “They’re cheering for you,” she said with a smile. “It was impossible,” said the king, looking at the Mathemagician. “Completely impossible,” said the Mathemagician, looking at the king. “Do you mean … ,” said the bug, who suddenly felt a bit faint. This book teaches many lessons, including the value of education, appreciating the everyday things in life and using commonsense; however, the biggest takeaway for me as a child was that nothing—no matter how complicated, challenging and seemingly out of reach—is impossible. While it was written for my 9-year- old self, I definitely didn’t outgrow its message. 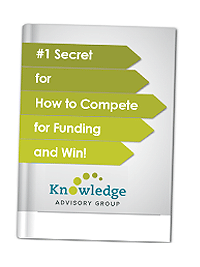 In fact, the basic concept, which took root in my brain back then, is what drove me to start my business, Knowledge Advisory Group, many years later. Although I personally love figuring things out, I know many people don’t share my passion. One area that regularly thwarts most nonprofits, government agencies and small businesses is making decisions about how to improve their processes and programs. Because of the research involved, this undertaking can often feel like a huge task, requiring such specialized knowledge and experience, that some people become overwhelmed by the prospect. After recognizing this challenge, I teamed up with a group of like-minded data geeks to remove the stigma that surrounded data and research. Our goal: to make collecting and analyzing data easier and even fun for nonprofits, government agencies and small businesses. The team at Knowledge Advisory Group is fascinated with numbers, research and why things are the way they are. We perpetually ask questions and always cross every “t” and dot every “i.” But while we’re good with spreadsheets, we’re just as good with people. We easily relate to our clients and they to us. We’re data geeks, yes, but we also have people skills. The primary reason that we do what we do is to help people. With a little work, creativity and collaboration, we believe anything—even data—is possible!